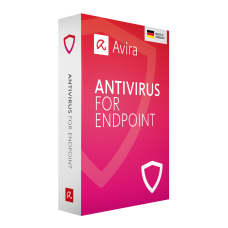 Avira Antivirus for Endpoint scans network traffic on all 65,000+ ports on each of your endpoints, keeping your corporate and customer data safe, private, and out of hackers’ hands. Secures files, running processes, and system memory on your PCs and servers against advanced persistent threats, spyware, and other types of malware. Avira Antivirus for Endpoint blocks over 4 million web attacks every day, defending your business against phishing attacks, infected websites, fake shopping carts, and drive-by downloads. Prevents your endpoints from being hijacked by a botnet by blocking communication between your device and the command and control center. Avira Antivirus for Endpoint is easy to deploy and requires no expertise to operate. Once up and running, you won’t encounter hidden costs – maintenance or otherwise. Awarded for its performance by AV Comparatives, our lightweight software has minimal system impact for maximum efficiency and productivity. Fast and free virus definition updates are delivered automatically to your servers and workstations without monopolizing your bandwidth or holding up your workflow.